Ramsey MT, Stanborough R, Petruzzi PT. A comprehensive review of fluoroscopically guided injections in the foot and ankle. Presented at 45th Annual Meeting and Refresher Course of the International Skeletal Society; 2018 Sep 24-28; Berlin, Germany. Shechtel JS, Petruzzi P. The many uses of opposed-phase imaging in body MRI. Presented at 103rd Scientific Assembly and Annual Meeting of the Radiological Society of North America; 2017 Nov 26 - Dec 1; Chicago, IL. 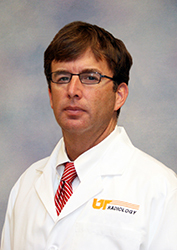 Vincent AJ, Petruzzi P. Post joint replacement: What the orthopedist needs to know. Presented at Southern Radiologic Conference; 2017 Jan 27-29; Point Clear, AL. Rogers JE, Petruzzi P. Intramuscular hematoma: Multi-modality imaging review. Presented at International Skeletal Society 43rd Annual Meeting; 2016 Sep 6-9; Paris, France. Pearson RH, Petruzzi P. Sesamoids of the foot and associated abnormalities. Presented at International Skeletal Society 43rd Annual Meeting; 2016 Sep 6-9; Paris, France.